Prolonged exposure to harmful rays of the sun leads to SKINSTRESS™. This exposure may also result in skin problems such as premature ageing, SunMarks, dullness and tanning. Bajaj Nomarks Ayurveda Antimarks Sunscreen available in SPF 50 and SPF 30 PA+++ UVA-UVB, protects your skin from tanning and SunMarks like dark spots due to Sun and Sunburn. 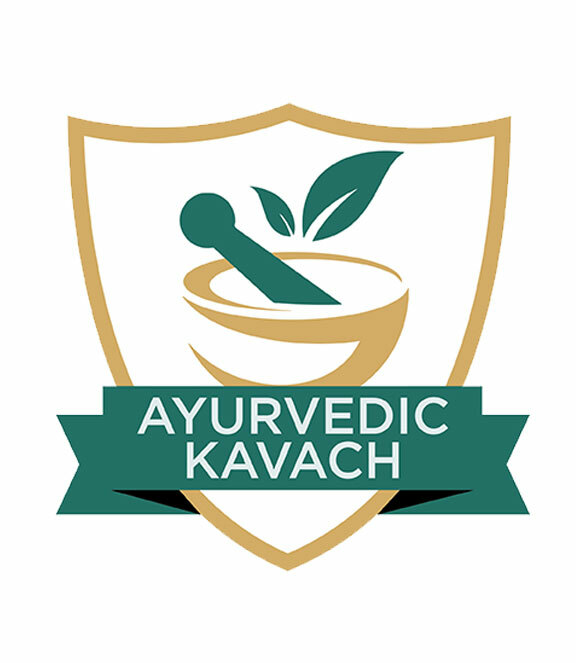 This dermatologically tested Ayurvedic sunscreen* is suitable for all skin types. Conquer the day without wanting to hide from the sun, with this sweat and water resistant sunscreen! Bajaj Nomarks Ayurveda Antimarks Sunscreen comes with an ADVANCED TWO STEP ACTION. 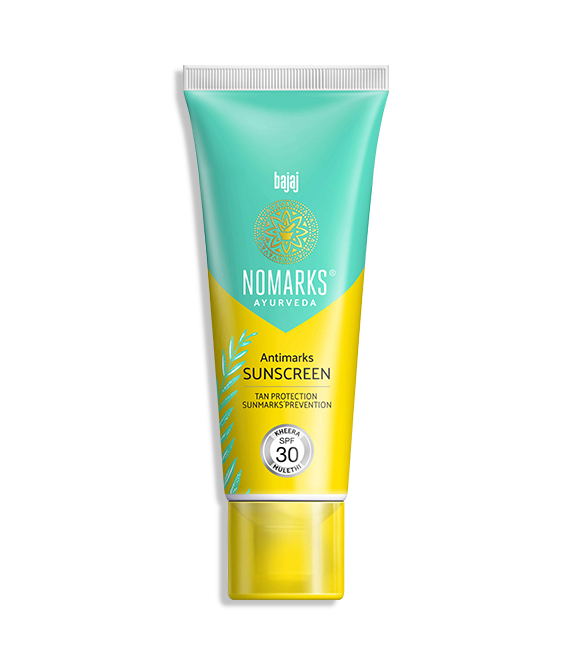 Bajaj Nomarks Ayurveda Antimarks Sunscreen contains Aloe Vera which is known for its soothing and cooling properties. It helps protect the skin from harmful sunrays. This sunscreen also contains Kheera known to enhance complexion and add glow to your skin. It has soothing, anti-oxidant and anti-inflammatory properties. Bajaj Nomarks Ayurveda Antimarks Sunscreen contains Mulethi that helps to reduce marks on the skin. 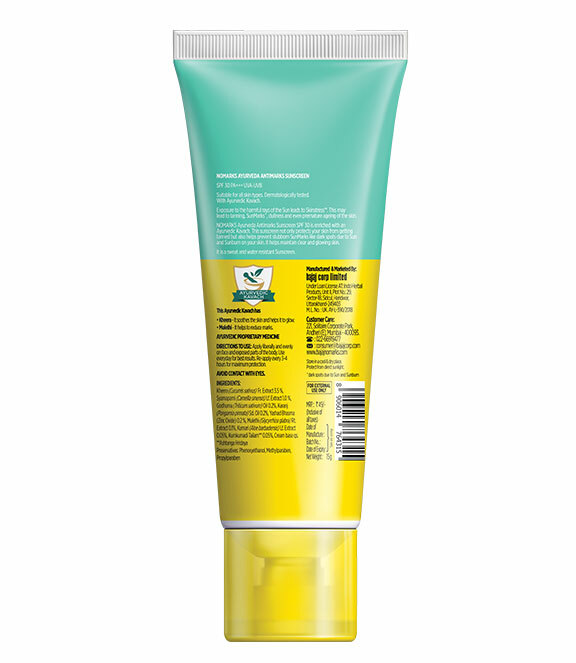 This sunscreen also contains Green Tea extract which is rich in antioxidants. The Wheat Germ Oil present in this sunscreen helps in protecting skin from the sun's harmful UV rays. Wash your face with Bajaj Nomarks Ayurveda Antimarks Face Wash and pat dry. Take sufficient quantity of Bajaj Nomarks Ayurveda Antimarks Sunscreen and apply liberally and evenly on the face as well as on the exposed parts of the body. Re-apply every 3-4 hours for maximum protection. Error: Error validating access token: Session has expired on Monday, 11-Mar-19 23:22:46 PDT. The current time is Saturday, 20-Apr-19 15:53:49 PDT.